*What's New* -V3.3.0.1 Added color schemes and themes. Make this app personal. -V3.4.0.2 Fixed bugs. Added hand draw/write. Changed name to Modern Word Processor. 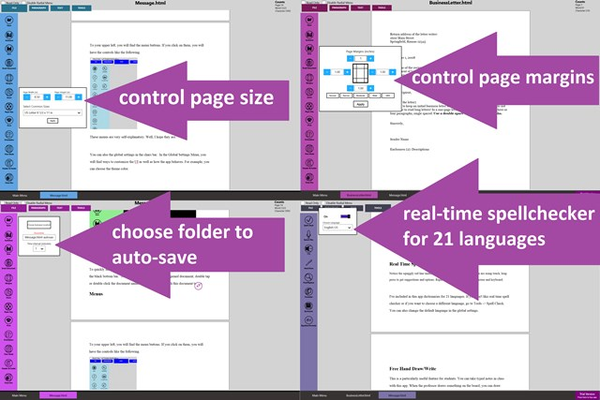 -V3.4.0.5 Added control for page margins. Made control windows transparent when not in focus. V3.4.2.3 Refresh full feature trial so those with expired can have full feature again for 7 days this time. Changed Logo. Refined code to improve stability. Added message center. Added more choices for where the menu buttons can be. Some people wanted to see menu buttons on top left. And force user to choose auto-save folder location. Many users never figured out how to get the auto-save function to work! V3.4.2.6 Refresh full feature trial again. Refined code to improve stability. Added default font, font name, etc. V3.4.2.9 Bug fixes. Added large buttons and tabs (user request). Added stability. V4.0 Major update to the software. Added real-time spell checker among many other things. V4.1 Added autocomplete search textbox for font. Added translator that can translate an entire essay. 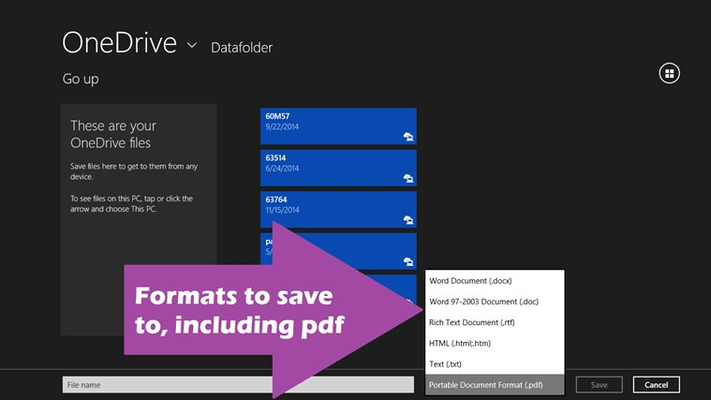 V5.0 Added save to pdf. Text alignment and line spacing now carry over to saved files of different formats. Fixed bugs. V5.1 Added thesaurus. V5.2 Added preview version of Formula/Equation Writer. Will improve in near future updates. V6.0 Added main menu page with templates and recent documents. V6.1 Perfected Equation Editor. V6.1.1.9 Improved graphics. 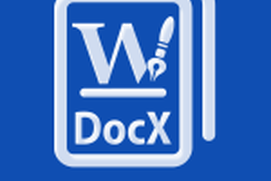 Word document editor/processor with real-time spell checker, auto save, write formulas, hand draw, speech recognition, translator, export to pdf, etc.. Supports opening from and saving to doc, docx, rtf, html, and txt. PLEASE NOTE: Please email me at the support email provided below if you find a bug or have suggestions. Please be as specific as you can. Like if the app crashes, I need to know under what conditions. If you don't tell me, I won't know. Quick scroll to the bottom by double tapping or double clicking the bottom black bar. Quick scroll to the top by double tapping or double clicking the document name area. This app is the most touch-optimized word app in the winstore. You can open and edit doc, docx, and rtf files. To open a file, simply double click on it in a file explorer or you can launch the app and open it from within the app. 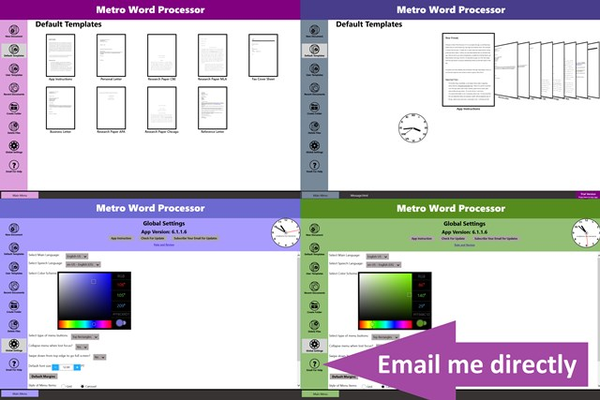 This is as close as you will get to a real touch optimized MS word document processor. This app supports importing images, creating and editing tables, bullets, and many other things. WORK CLOCK: The clock always remains on top to let the user tell time while working. User can switch the numbers between Roman and Arabic Numerals or move the clock around. User can also hide the clock in the Global Settings Menu. 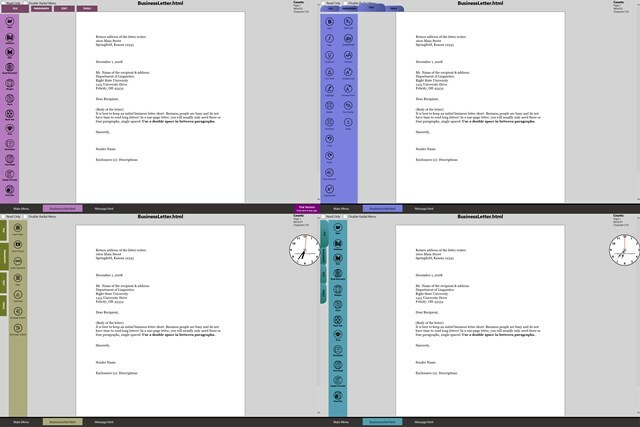 DOCUMENT TEMPLATES: You can use one of the various templates available or you can create your own templates for future use. LIVE TILES DISPLAYING RECENT DOCUMENTS: App tile in the start screen will display the recent documents you've worked on. FORMULA/EQUATION WRITER: Compose and edit formulas or equations. 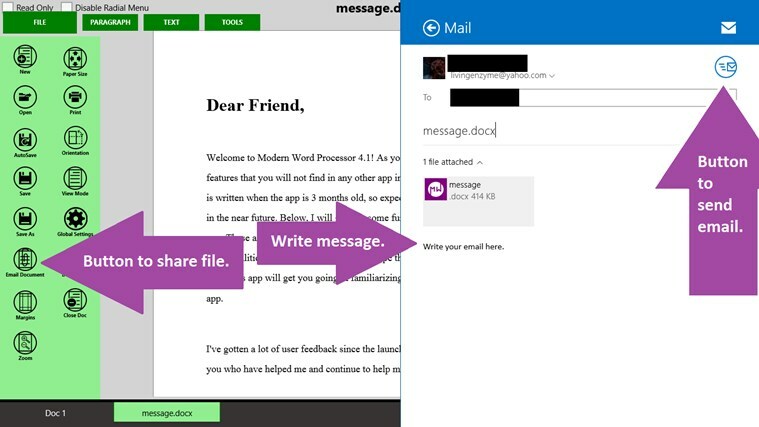 EMAIL DOCUMENT DIRECTLY FROM THIS APP: Exactly like it says. SPELL CHECKER: Real-time spell checker that supports 21 languages. TRANSLATOR: Write your essay or open up a document. Choose language the essay is in. Choose what language you want translated to. Press translate. 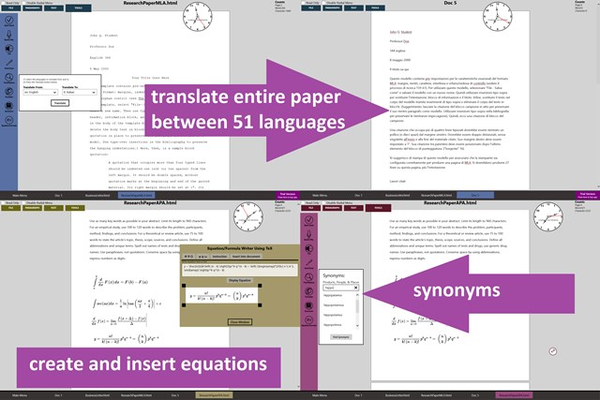 The app will create another document and add the translated text to it. Supports 45 languages, including Klingon! FIND/REPLACE: Will highlight in real time all words matching what you put in for find. Has replace next and replace all. HAND DRAW/WRITE: A very useful feature. You can sign your name in a word document with your finger or stylus. If you're taking notes in class, when the professor draw something on the board you can draw it right into the word document. Or you can hand write whatever notes you want right into your word document. SPEECH RECOGNITION: This app has a Speech-To-Text feature that allows the user to write out a document without typing. 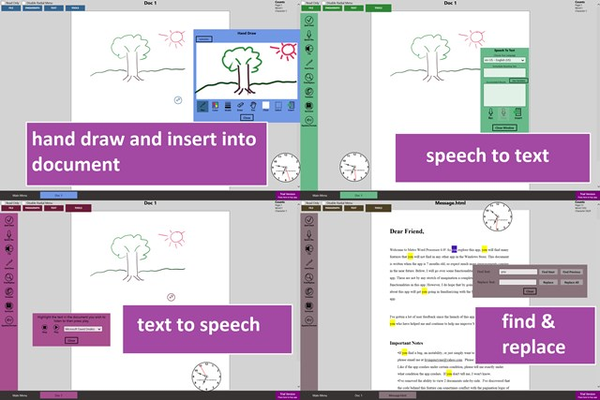 Just speak in your natural voice and the app will write out the document for you. Please pause between sentences to allow the app time to analyze your words and translate them into text. Currently supports English, Spanish, German, Italian, French, and Chinese. 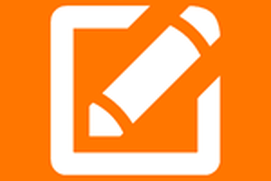 AUTOSAVE: This app has an autosave feature, so you need not fear losing your work. You decide how often it saves your work. SHORTCUT KEYS: Most people who have ever used word processor have muscle memory for Ctrl+S and other commonly used shortcut keys. So, here is a list of shortcut keys that will work. Note that all document editing shortcut keys like Ctrl+B and Ctrl+I also work in addition to the list below. (1) Ctrl + N -> New document (2) Ctrl + O -> Open document (3) Ctrl + S -> Save/Save as (4) Ctrl + P -> Print (5) Ctrl + F -> Find/Replace (6) Ctrl + Alt + G -> Word/Sentence/Paragraph/Table/Page counts EXPORT TO VARIOUS FORMATS: You can save to the following file formats: txt, rtf, doc, docx, html, and pdf. The text in the resulting pdf file will fully selectable and searchable. COLOR SCHEMES AND THEMES: Personalize this app by choosing the color scheme and the button shape you like. There will be more options in the future. Please note that there is no other word processing app in the store with all the features listed above and more! You can also print out nicely formatted documents by simply pressing the print button. I designed the layout to avoid any learning curve whatsoever. You can either use the collapsible round menu or the straight forward menu on the left side. The side menu is also collapsible, giving you a full screen experience. Trial will give you 7 days full access. After 7 days, the app will go into read-only mode. 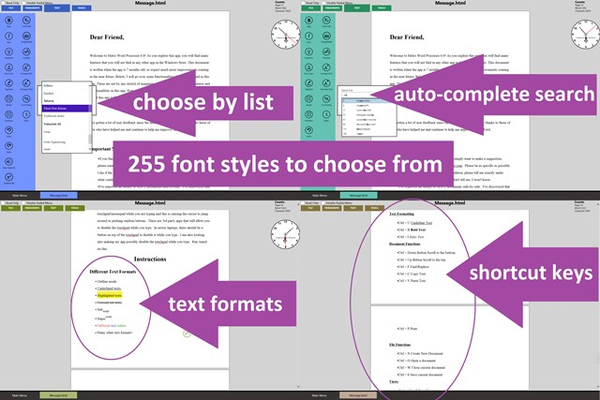 You can still edit texts like color, font size, etc. But you cannot add new texts or delete existing texts. Note that the feature list does not contain everything. Too many for me to list. You should play around yourself to find out. Please email me if you have any question or suggestions for future updates. Purchases at Microsoft are non-refundable. All I wanted was simple word processing -- especially spell check and simple document retrieval -- this program makes that difficult! I'll limit my criticism because it would take 1/2 an hour to explain how I just spend the last hour trying to figure out how to do the 2 basic functions mentioned above. All I wanted this for was journaling so I cannot imagine a student or office worker using this to be productive. Look elsewhere! The best word processor used that covers all my immediate needs at less than a fraction of the cost. MWP handles everything I throw at it and does it without a complicated training curve. Thanks guys and keep up the good work. Tab key does not space equally throughout tab presses on different lines. Recently, a windows system update (March 12, 2015) broke my app. I'm happy to report that the problem has been fixed and there is no more problem. Please update to version 6.1.x.x. 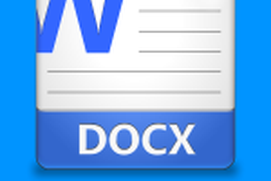 I have been working with my documents using this app. Its quality is pretty high and the programmer has been very helpful to my questions. But does not have as many options as MS Word. I'm not sure why this app doesn't get more press. 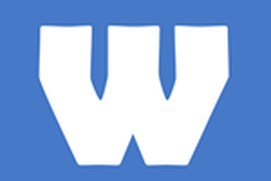 It is a very functional writing app that has most of the options that one would find in a desktop word processor. I decided to buy this app after having tried it out for about 5 days. It does what the app description says. It's more advance than all the other writing apps in the store. The reason I'm giving it a 4 star instead of 5 is it is not as advance as MS Word. Other than that, it works well. This semester, I've written all my English papers with this app. The auto save feature works great, giving me the peace of mind. I really can't think of anything negative about this app.